Mr Marc Pacifico MD FRCS(Plast) is a leading Consultant Plastic Surgeon in the UK. His academic, surgical and practice achievements include, amongst others, coming top in the UK’s consultant level plastic surgery examinations (being awarded the Gold Medal), the publication of over 50 international peer-reviewed papers, being a regular invited speaker at conferences and the opening of his own private clinic, Purity Bridge, alongside his busy private surgical practice. He was also a Consultant Plastic Surgeon at the world-renowned Queen Victoria Hospital in East Grinstead for 8-years. He has built his reputation on a combination of a high level of surgical skill, his artistic eye and his holistic, friendly approach to patient care. His particular areas of interest include plastic surgery to the face and breast, as well as body contouring surgery. 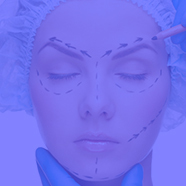 The look Marc aims to achieve is a natural, fresh look, in all areas of aesthetic surgery. Marc particularly focuses on the care his patients receive pre- and post-operatively, in order to optimize the outcome of surgery and provide all under his care with a smooth recovery after their procedure. 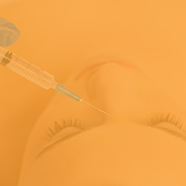 Marc recognizes the continuum between non-surgical and surgical techniques, using all available options to formulate a bespoke treatment plan for every individual. This process has been further enabled through his private clinic Purity Bridge in Tunbridge Wells, UK, that provides the best level of care possible to his patients. Marc Pacifico is a fully accredited specialist in plastic surgery, and is on the Specialist Register in Plastic Surgery with the General Medical Council (number 4412407). He sits on the Council of the BAAPS and is a member of BAPRAS and ISAPS. Q1. For or against a mommy makeover?